There seems to have always been a remarkable interest in who Jane Austen was, from the very moment the authorship of her novels was revealed. This interest extended into the Victorian era when her letters and other unpublished novels were made available to the public. Even now, Jane Austen has an ever-growing army of dedicated fans who avidly devour new movie adaptations and “new sequels” of the Austen novels, as well as movies about Jane’s life itself. Recently I have had the opportunity to watch some movie portrayals of the famous Regency authoress. Anne Hathaway as Jane Austen, in Becoming Jane (2007). Becoming Jane (2007) is loosely based on the speculative biography Becoming Jane Austen, by Jon Spence. It focuses on the life of Jane Austen during her years living at Steventon, before her family moved to Bath. Starring Anne Hathaway as the 20-year-old Jane, the movie shows the close relationship she has with her sister, Cassandra, and her family. The movie focuses on the period of Jane Austen’s life when most young women of her time would have been looking for a husband. She meets Mr Tom Lefroy at a family party and strikes up an emotionally charged friendship, despite the initial conflict of his rudeness. They fall in love but realise the impossibility of their union unless they can convince his uncle to agree, as Tom is wholly dependant on his uncle for money and career connections. They end up eloping but Jane suddenly decides en route that their love would not survive their eventual poverty and goes back home. In addition to Tom Lefroy, Jane is also pursued by a (fictional), Mr Wisely, who is the nephew and heir of rich Lady Gresham. She also has a third proposal from Mr John Warren at the conclusion of the movie. Jane’s family prefer the match with Mr Wisely, as the marriage will provide their daughter with money and security. As she does not have much dowry, attracting a husband who is not already rich will be difficult for her. Jane talks frequently of her hopes of making her fortune by her pen, rather than by marriage, however her family – whilst they encourage her writing – seem to be skeptical about this. I remember really liking this movie when it was first released, thinking that it seemed to portray the vivaciousness and wittiness that I believed was accurate to the author’s voice in her novels. 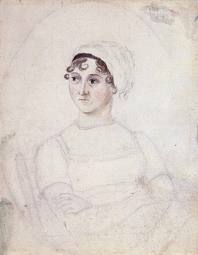 It also seemed to cleverly link some of the everyday occasions in Jane’s life to the events in her novels, particularly Pride and Prejudice, thus illustrating the ways in which she could have gleaned inspiration from her life. Unfortunately, as I began to research Jane Austen’s life in more detail it became apparent (and irritatingly annoying) that Becoming Jane was almost completely fiction! Olivia Williams as Jane Austen, in Miss Austen Regrets (2008). I have also recently seen the movie Miss Austen Regrets (2008), starring Olivia Williams, which follows Jane’s later life as a much-loved spinster aunt and burgeoning author when she lived at Chawton Cottage. This portrayal sees Jane spending time with her niece Fanny (daughter of her brother, Edward Knight) as she tries to decide whether or not to marry a charming Mr Plumtree. Jane uses her previous experiences in love and life to help guide her young niece in her decision. The movie focuses on the fact that Jane remained unmarried and was poorer than she might have been if she had chosen to marry. Jane is made to feel responsible for not furthering the family fortunes when she refused to marry Harris Bigg in her earlier years, and maybe it is for this reason that she is preoccupied about writing for money in order to provide for her mother and sister. The other love interest featured in this movie is that of Reverend Edward Bridges, who was the brother-in-law to Jane’s brother, Edward Knight. According to the screenplay, he had proposed to Jane several years earlier and been refused and had then married a Miss Harriet Foote. As could be expected, their conversations are peppered with the what-if’s and the could-have-been’s that one naturally has when considering what could have happened if a different decision had been made. Whilst this movie is fairly soundly based on the letters of Jane Austen that were written between 1813 and 1815, the portrayal of Jane as a character seems markedly more melancholy and regretful than her letters indicate her to be. In fact, her conversations often bordered on being bitter and her relationship with her sister seemed equally strained. I found it hard to imagine that Jane could be like this after reading her letters. So just who was Jane Austen? Whilst I enjoyed both of these movies in different ways, I was initially puzzled as to why these portrayals of Jane Austen did not match up with the sort of person I had experienced through reading her personal letters. One thing that bothered me was that these depictions of Jane seemed to be overly modern in terms of ideology. 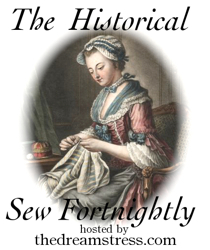 It was almost as though we, as a 21st century world, had infused our own more modern feminist ideologies on this Regency woman, such as the desire to have a career, to earn an independent living, and to marry for love. Whilst these modern ideals are important to the women of today, it is probably not accurate to suggest that the same ideals are ones that Regency women – or Jane in particular – aspired to, at least not in the same way that modern women value them. However, it could be more simple than that. It could be more to do with movie producers generating a bottom dollar by striving to make a screenplay acceptable to a modern audience, regardless of whether the resulting movie is accurate in its depiction of a historical figure. This makes sense really. These days movies need to have a good storyline with maybe some action or romance to help them attract interest and make money in the box office. In short, the content of a movie (historical or otherwise) needs to meet the ideals and expectations of a modern audience. It is possible that a truly accurate portrayal of Jane Austen might be just too boring for us all to watch!? Heaven forbid, but that could be true! What are your reflections on these movies? Do they fit with your picture of who Jane Austen was? Do you prefer a historical accurate film or one with a good storyline? In my next post on this topic, I will attempt to examine some of the realities of Jane’s life, including the men who featured in her life as possible suitors. 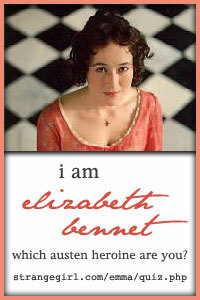 I will also explore some of the ways in which our modern ideologies may have affected our view of who Jane Austen was. For instance, is it accurate to suggest that she wanted to have a career or that she wanted to be famous, and is it realistic to assume that she could have become rich?